Sasmung’s Galaxy Player device has emerged on Amazon UK, bringing with it a release date of January 7 and a price tag of £149. 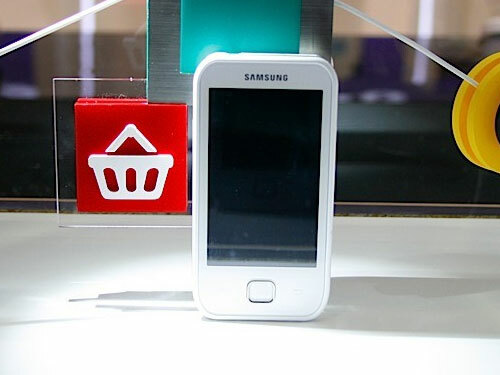 The 8GB version is similar in many respects to the iPod Touch, allowing for apps and functions found on the Galaxy S smartphone range, minus the ability to make calls (at least via mobile operators, VOIP applications should be available via the Samsung Apps marketplace and the Android Market). With the 8GB version costing £149 and the 16GB version setting you back £180, the former comes in a respectable £40 cheaper than its Apple equivalent (on the official website, around £25 cheaper on Amazon), really taking the competition to the Cupertino company. The Galaxy Player features a 3.2-inch WQVGA LCD screen, 2MP camera, support for 32GB of external storage, FM radio, a microphone and a changeable battery. With support for Ogg Vorbis, FLAC, XviD and DivX, users will be able to consume a variety of media formats on the go, dragging and dropping files on to the player by way of its DNLA support. The Samsung Galaxy Player looks set to push Apple on all fronts and will almost certainly be one of the first Android-powered music-centric devices to make it in the Apple dominated personal music player market. We are all for competition (and lower prices) – this product, no matter who makes it, has been a long time coming.